The E.G.L. 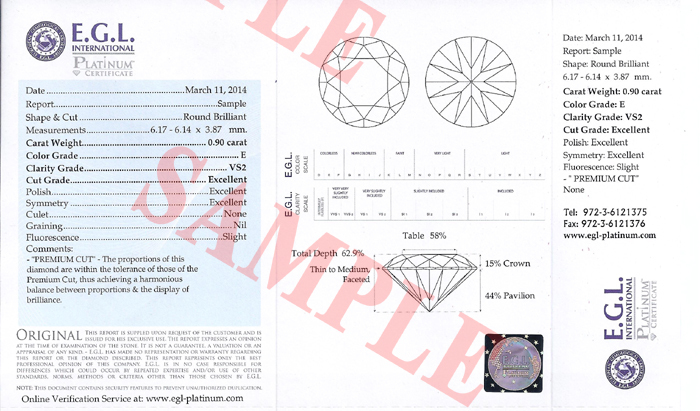 Platinum certificate is a unique product developed and offered by the E.G.L Platinum laboratory. The E.G.L. Platinum certificate is a genuine E.G.L. 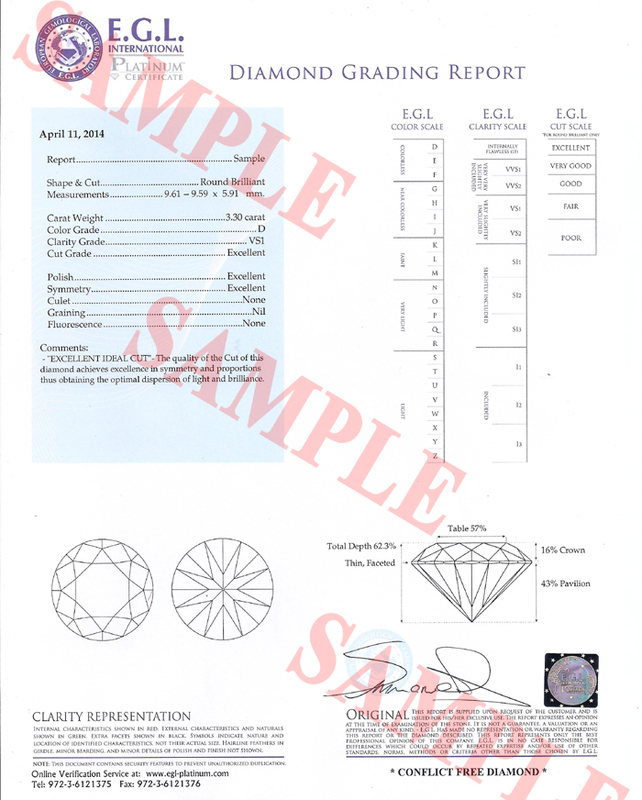 diamond grading report, carried out using E.G.L. Platinum's standards, methods and criteria. The E.G.L. 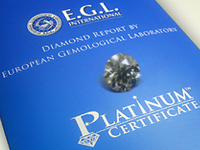 Platinum certificate distinguishes itself from the regular E.G.L. International reports by keeping the highest and strictest quality assurance test level for each diamond graded, far beyond the common standards. The precise grading procedure, executed by senior E.G.L. Platinum gemologists only according to in-house etiquette, creates a non-biased precision of reports. This results in top class professionalism, excellence and accuracy. Since its creation in 2012, the E.G.L. Platinum certificate holds an honorary position equivalent to that of leading brands, and its name has become associated with terms such as: confidence, trust and credibility, amongst its customers. The E.G.L. Platinum certificate assures your customers that what they get is what they read in it. This is why E.G.L. Platinum customers themselves were the ones who minted its motto: It's not just E.G.L. – It's Platinum! To learn more about ordering E.G.L. Platinum certificates, please contact us.